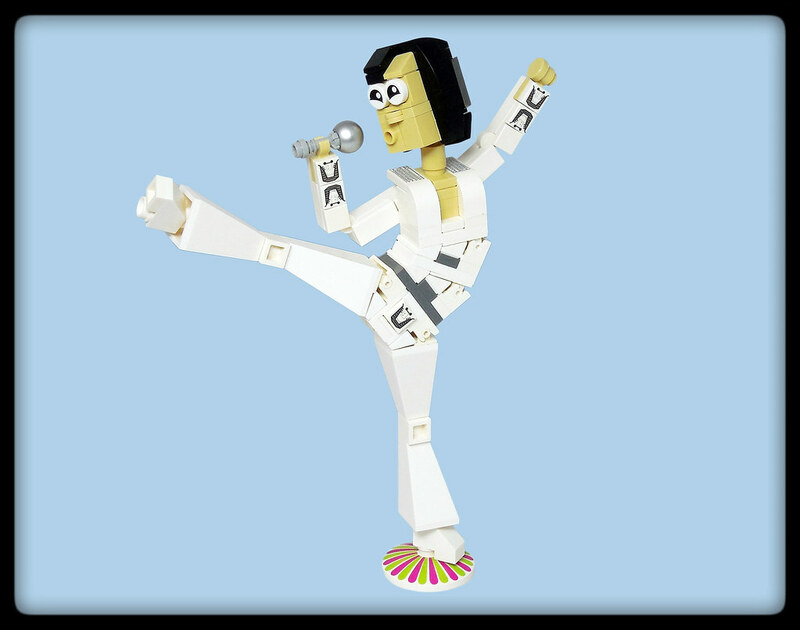 The LEGO community is full of people doing amazing things with LEGO, and it’s really hard to keep up with it all. The Builder Spotlight series aims to highlight not only some seriously amazing MOCs, but the builders themselves, and their inspirations! I recently had a chat with Letranger Absurde! I’m pretty excited about this one – I’m a big fan. My name’s Pacurar Andrei, I’m 29 and part of RoLUG. 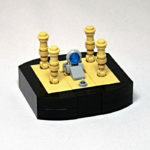 How did your love of LEGO come about, and how long have you been a fan? My initial interest in LEGO started when I decided to sell my childhood collection and started sorting. But the actual love part began once I joined the MOC-ing community and started building my own stuff. Can’t recall when this was exactly, but it must have been around 2011-2012, since 10210: Imperial Flagship was still in the market; one of those sets I regret never getting due to the price, but at that time it seemed insane to spend so much on a toy. Ah, how things change, now I waste that amount on Bricklink orders without much thought. Did you go through the dreaded Dark Ages, and if so, what brought you out? Yes, when I was young I stopped playing with bricks very early, I believe I was around 10-11. Luckily my parents never gave away the parts, otherwise I may not be here now. 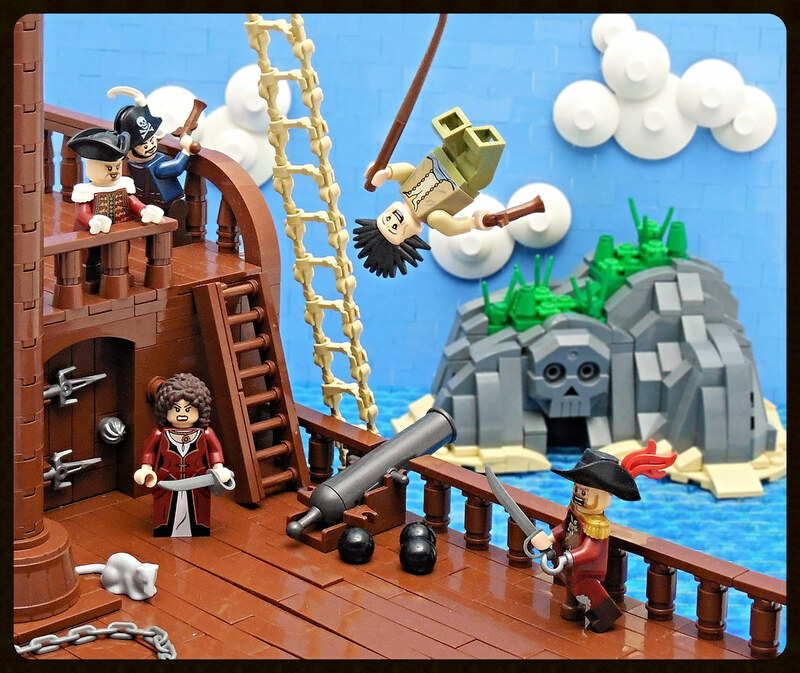 Do you have a favourite LEGO theme or MOC subject matter? I’m still drawn to the usual suspects (pirates, castle; partly nostalgia, partly who doesn’t love pirates? ), but my main interest is in character builds. That being said, I’m very open to any subject matter and I can find something to like pretty much in any theme/style/subject. 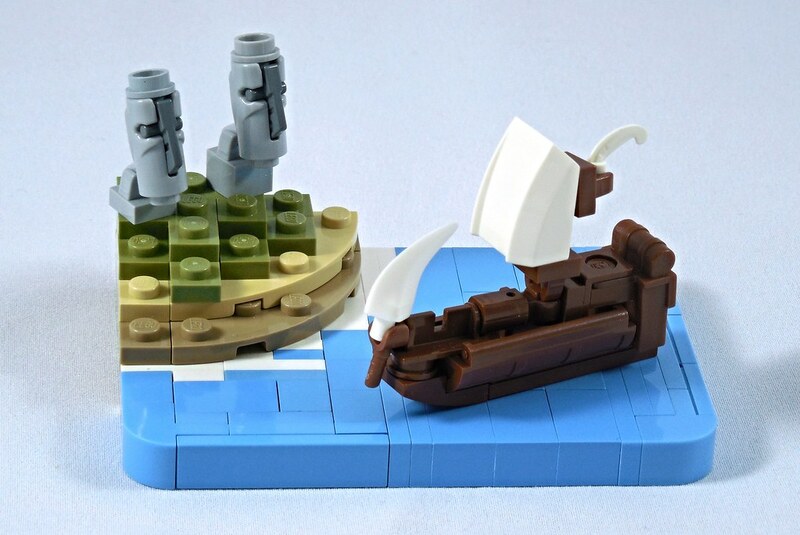 Do you have a favourite MOC of your own? My favorite is Room With A View; it’s one of those builds where every brick fell in the right place and when I revisit it, the first thing that pops in my mind is not what I’d change/what I’ve messed up (as opposed to most of my builds). Any challenges in building them? The biggest challenge is always the same – lack of parts. How long did they take to build? I couldn’t say, I never keep track. I probably built it during 3-4 days (that’s a loooong time frame for me, most of my models are one day builds). That’s amazing! You must have an incredible eye for the different ways that parts can be used. 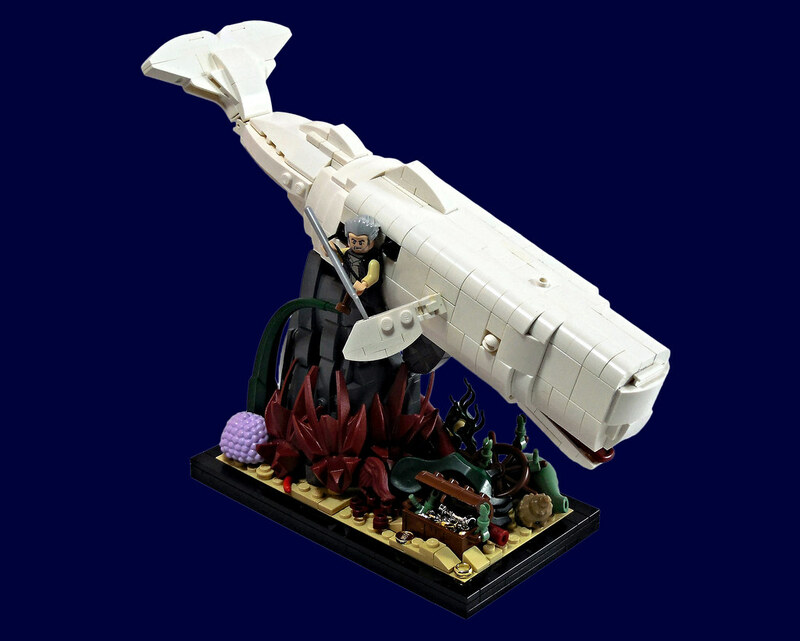 How many elements are there in that MOC? Another thing I never keep track of. What I remember is that I had to order a tonne of those small corner panels for the window decorations and I kept miscounting how many I need, in the end I had to place 3 orders to get enough. 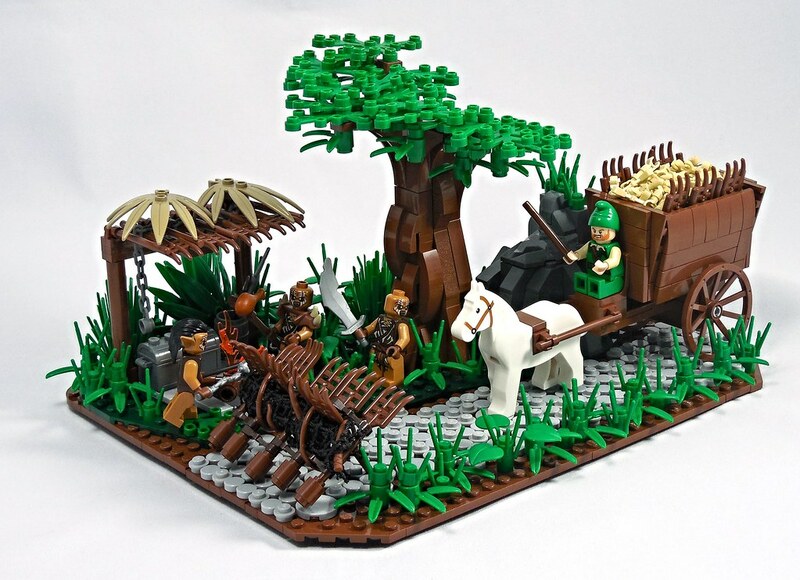 Any favourites from other builders? I could spend the rest of my month writing if I were to point out my favourites. There’s a lot of creativity and talent in the community. Do you work with a standard build process? 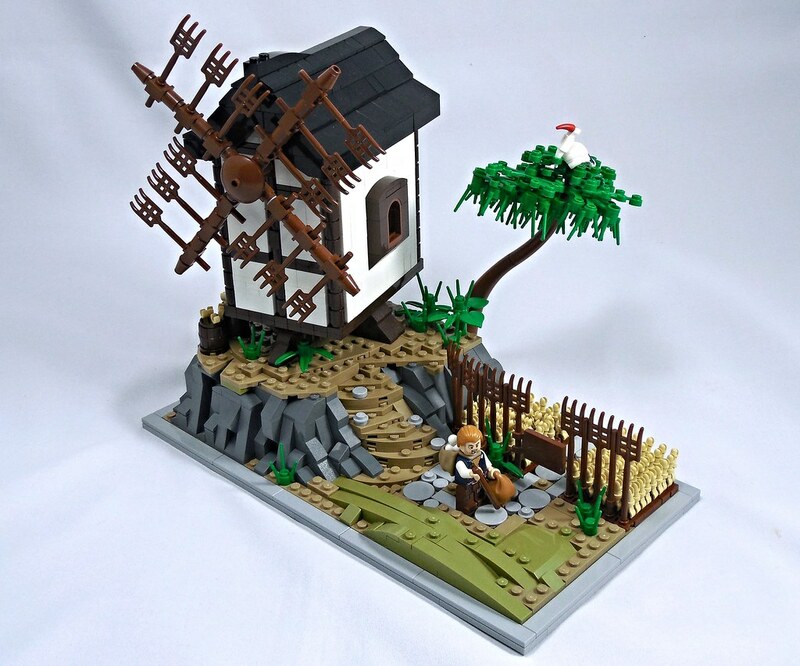 You’ve participated in Iron Builder, can you describe that experience? It was definitely an interesting experience. I’ve also done the Mocathlon at the same time, it was just when we finished getting together the MA team, that Guy invited me to join IB. There was no way I was gonna pass that up (could hardly believe I was considered for it really, let alone invited) so I ended up stuck with both. It was real fun having to come up with uses for the part (the minifigure pitchfork) that also had to fit with the MA categories. For those that missed it, you can catch up on what happened during the battle with Jimmy on the competition discussion here. While it was an exhausting experience, it wasn’t as time consuming as it may seem. I did have time to do other things aside from building and it didn’t keep me up at night. The worst part was the last week when I was both fed up with the damn part, and started having no more ideas what to use it for. The ideas were not a problem in the first, by the time I was done with the first build, I already had a few lined up; it was more of a challenge doing them before Jimmy did. Going against Jimmy was great, not only am I a big fan of his work, he’s also a great guy. I feel that I improved a lot during that time; having to get out of my comfort zone to integrate the part and the thought of going against such a great builder really pushed me to do my best and experiment a lot. I had to build things that are not my cup of tea, like the tank or try scales I haven’t played with before (Wolverine bust) amongst others. I didn’t get too many seed parts, I don’t recall how many, but I had to order some more to be able to do some of the builds (the tank treads, the mill). That’s really exciting. It’s always a great thing to watch unfold, and what makes it more fun is the witty comebacks between the builders! Do you come back with the one-liners first, and then build, or is it the other way around? They haven’t played any role in the building part, I came up with them as I posted each build. It’s just a coincidence that some were a happy match with what either of us built. I don’t have any immediate plans at the moment. What I want to do is continue my horror movie vignettes series, but for now it’s on hold until I get my hands on parts I need either for the build or for the minifigures. To give a spoiler, one I want to do if the lobby from Suspiria, for which a need a ton of pink in various shades. Also I want to focus more on scenes like Room With A View in the future, but that probably won’t happen for a while. How can we keep up to date with what you’re working on and what you’ve done? All of my builds are posted on Flickr. I don’t use Facebook or other social media. Any advice for fellow LEGO fans? My advice is always the same; build what you like and makes you happy, not just what’s popular. Thanks so much for your time! It’s been really great to get to know your process more. 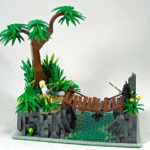 You’ll be sure to find more Letranger Absurde greatness in the future right here on BricktasticBlog. 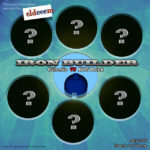 Iron Builder 4.0 Round 4 is underway!